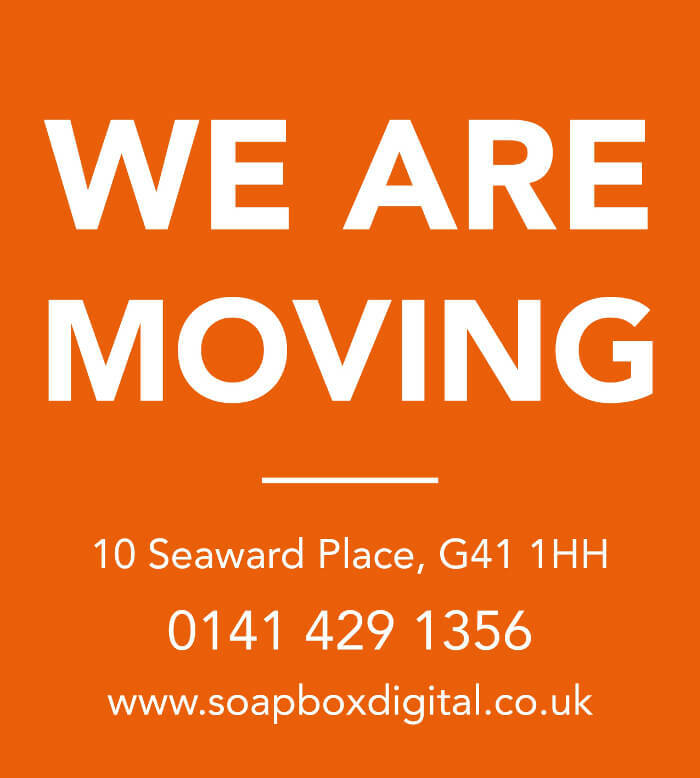 We are delighted and excited to announce that from April 1st we will be relocating the Soapbox Digital office from Kilmarnock Road to 10 Seaward Place in Kinning Park. In regards to the date, we promise we are genuinely moving, and this isn’t some bizarre April Fools gag! Although we love being in Shawlands and have had a great few years on this fantastic high street, the time has come for us to move to a facility with a bit more space for us to stay at the very top of our game. We would love to have some visitors to settle the new place in so please feel free to swing by for a chat and a coffee. The office is lovely, and it’s an excellent opportunity to catch up on your website and get an update on where your company is at. Please note that our sister print stores in Maryhill and Eglinton Toll will be staying where they are, and it is typically no problem to relocate a meeting there.